Rottweiler saves a tiny pug who was trapped down hole for 10 days ! A giant Rottweiler named 'Bear' became a hero after saving the life of a fellow dog, tiny pug who was trapped down hole for 10 days. 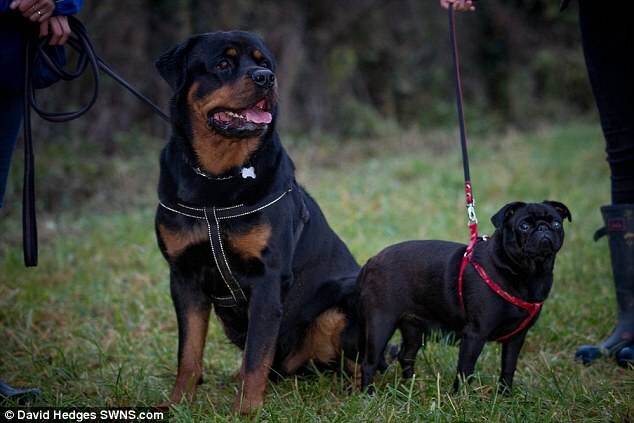 A really smart Rottweiler dog has helped save a tiny pug named Olive who has been trapped down a hole for 10 days. 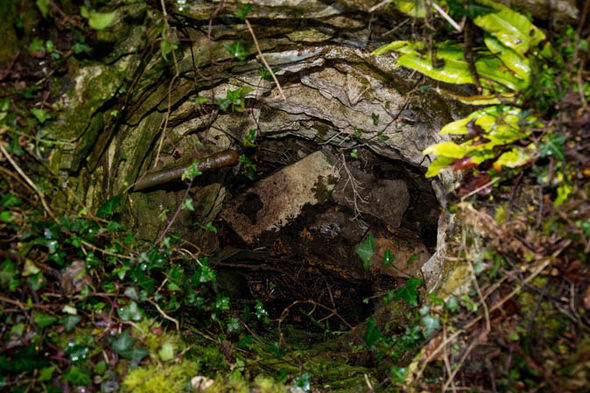 Nichola Jones the rottweiler's owner, was walking the dog when he picked the scent of the terrified pug in the bottom of a well after she had run off spooked by fireworks. Sensing Olive the pug’s scent during the walk, Bear guided his owner to the spot where the little dog was trapped. "Bear is a hero, he's a wonder dog. He was behaving in such a strange way. He is such a happy animal. He's so special and this just tops it." Olive was completely spooked by the large bangs from the firework explosions and ran off from owner student Saffron Mackeson and remained missing in cold, wintry conditions for 10 days. Ms Jones said: “I have been following story and we have been walking around the area trying to find Olive, and suddenly Bear stopped. He wouldn't move. So I went through the hedge and I found a well and looked down and there was this black pug. I climbed in and pulled her out." A delighted Saffron, 16, said today: “I'm so relieved. She's lost a lot of weight but other than that she's fine. We were so happy when we got the call."